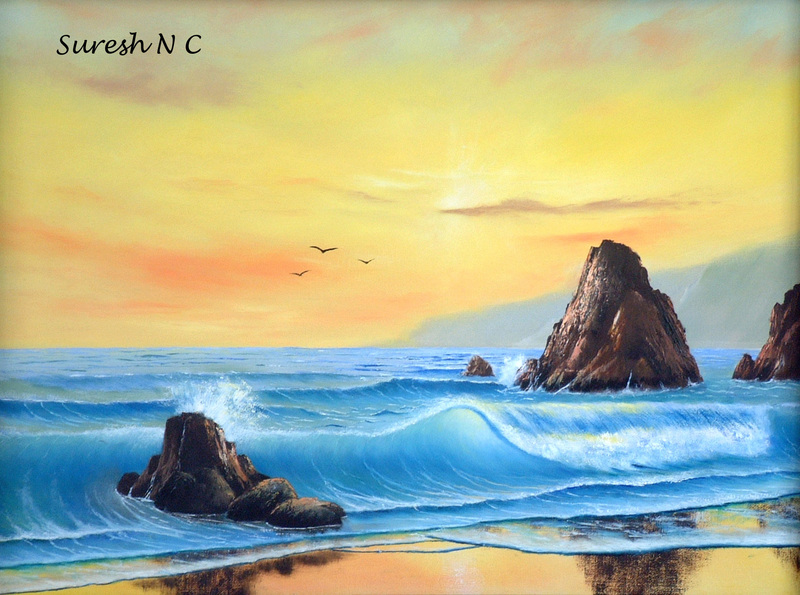 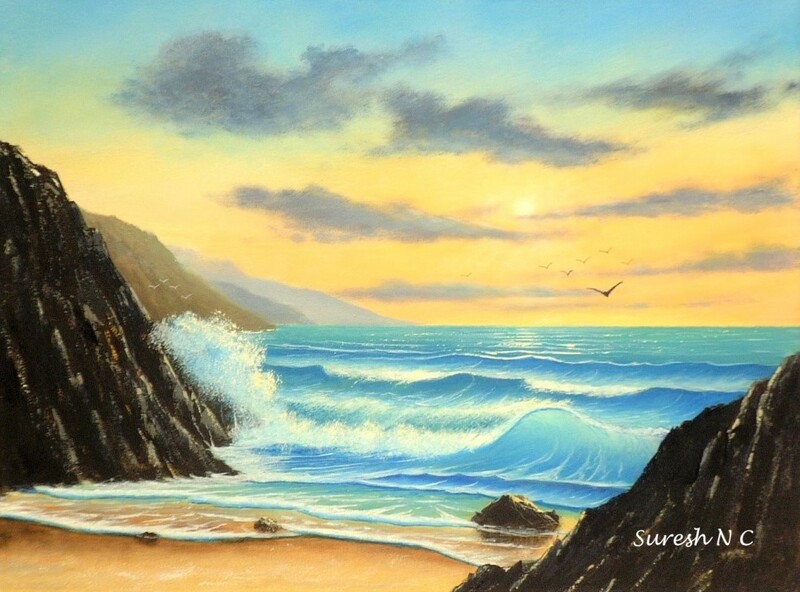 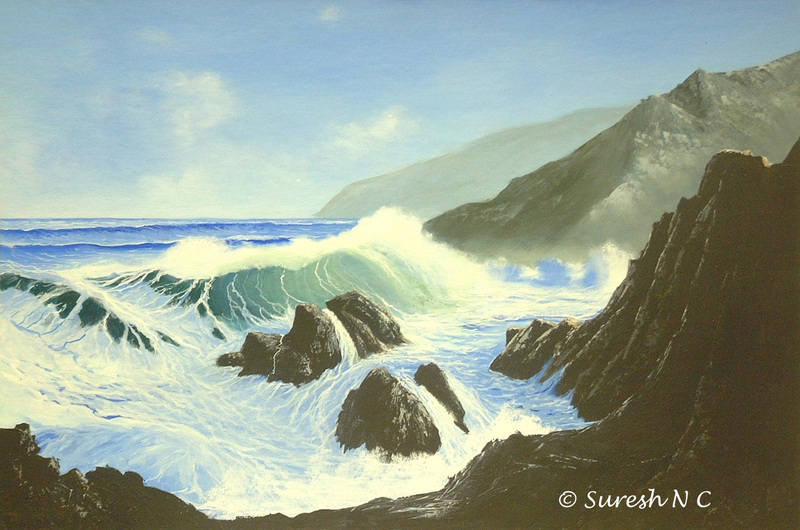 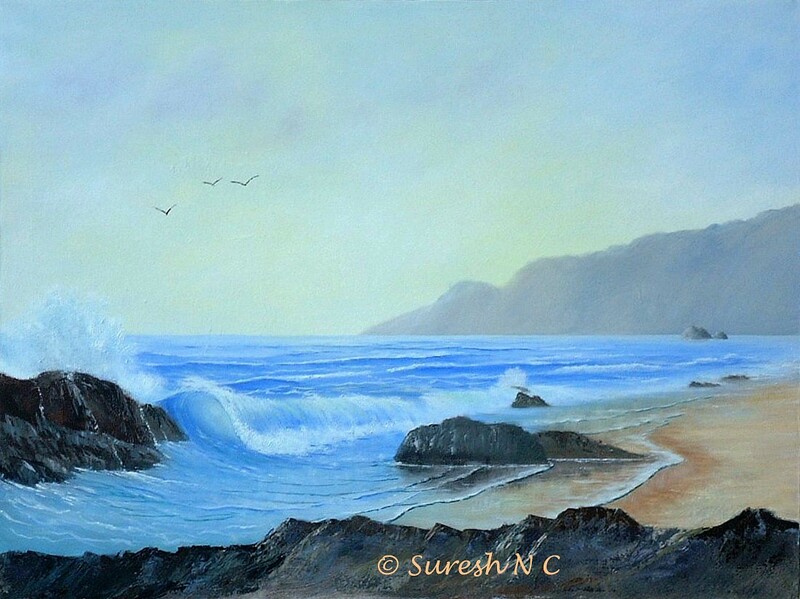 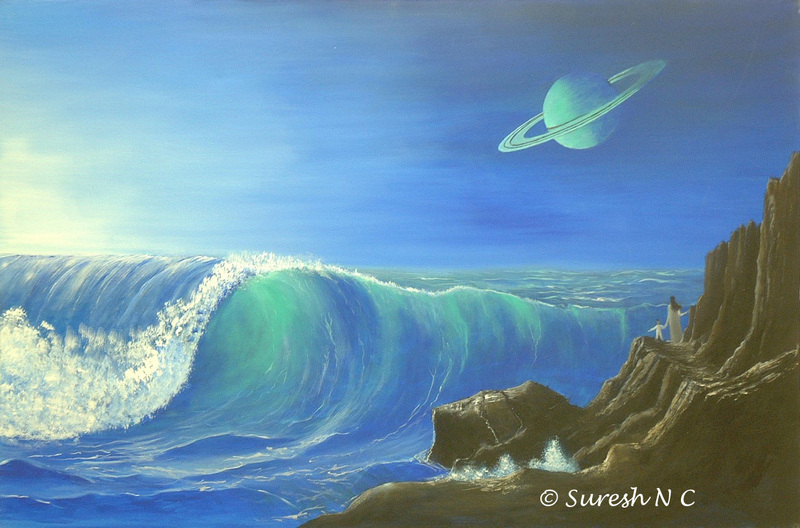 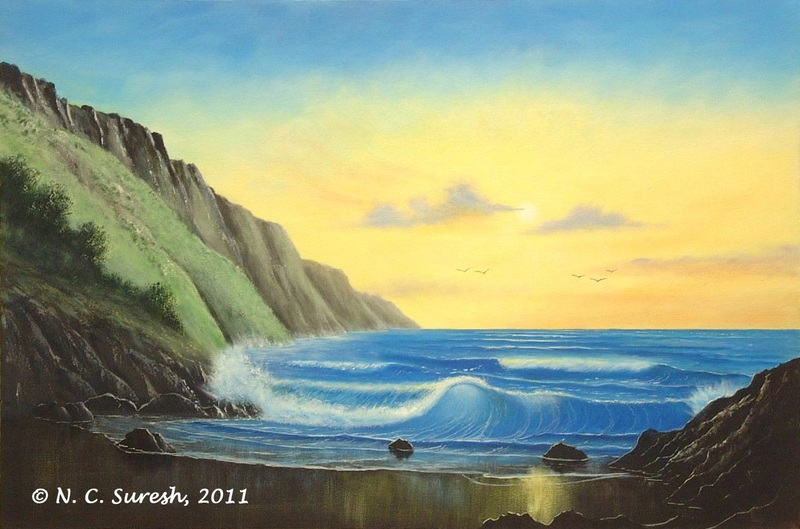 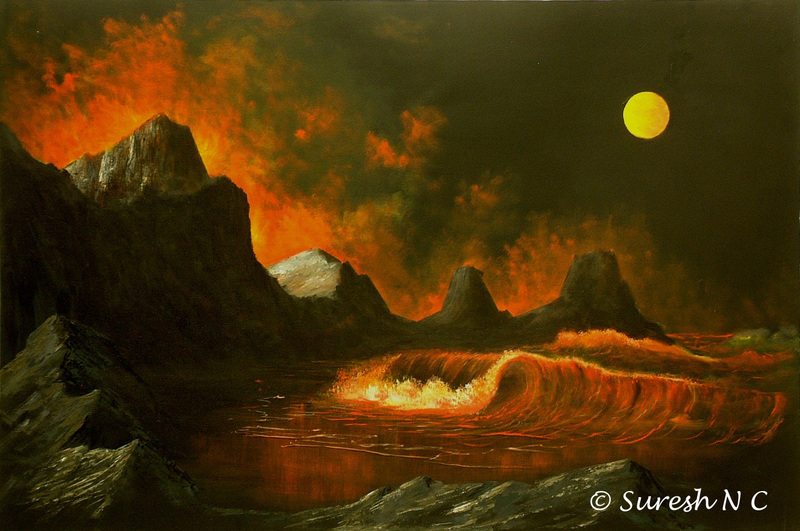 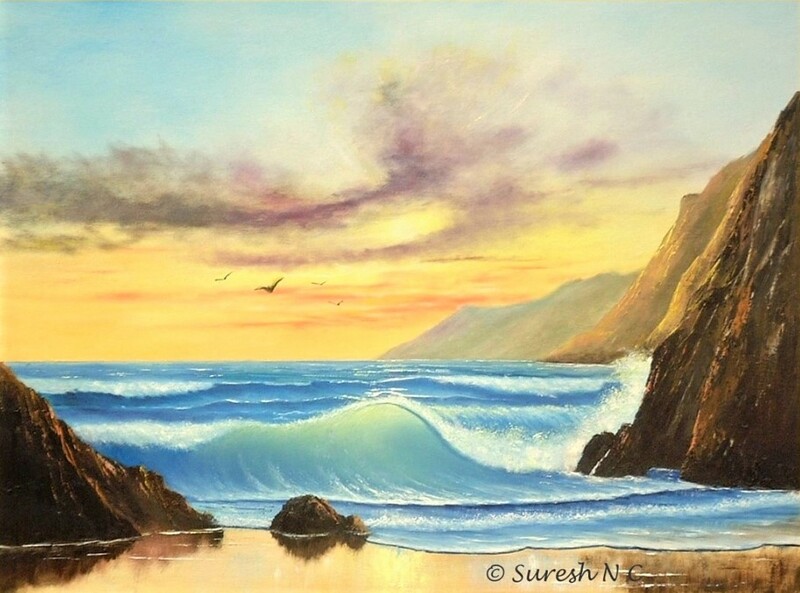 Seascape Paintings of Suresh N. C.
For Info/Order, please note the painting number & click on Order on Left. 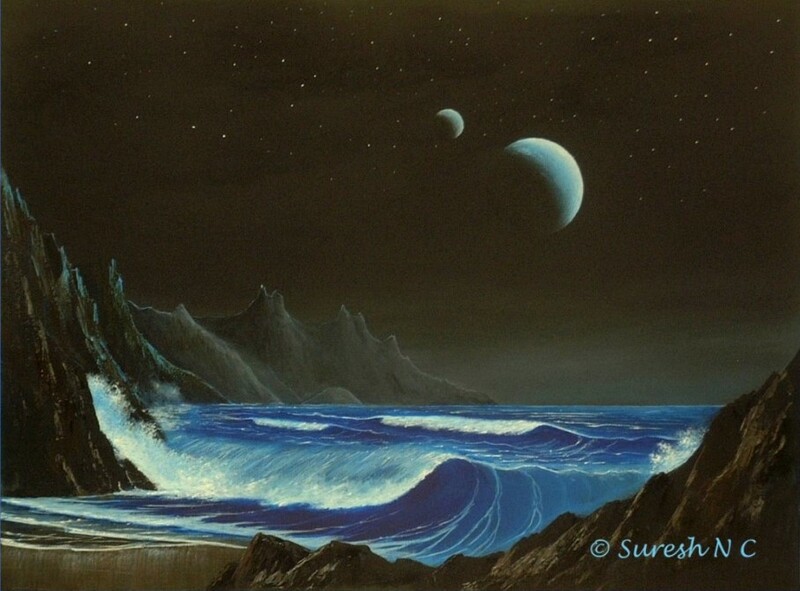 An alien princess (lower left) often comes to this beach hideout after long political days. 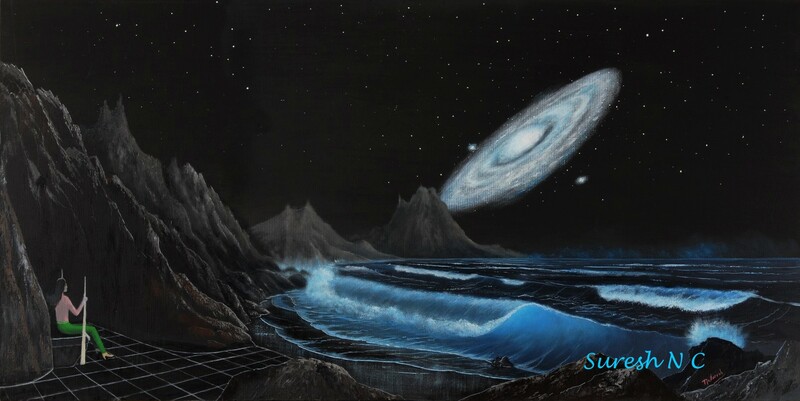 This evening, the neighboring Andromeda Galaxy is also seen rising beyond the far shores. 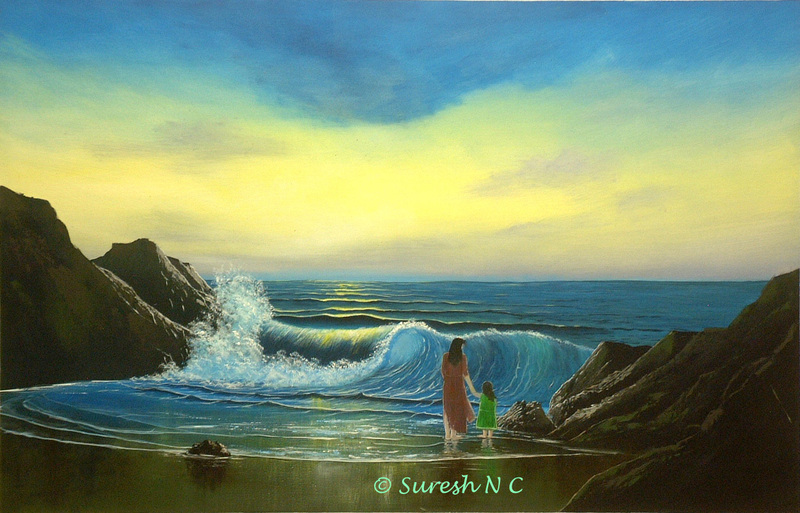 Prone to bouts of violent temper, the princess has discovered that watching the waves has a certain calming effect on her nerves. 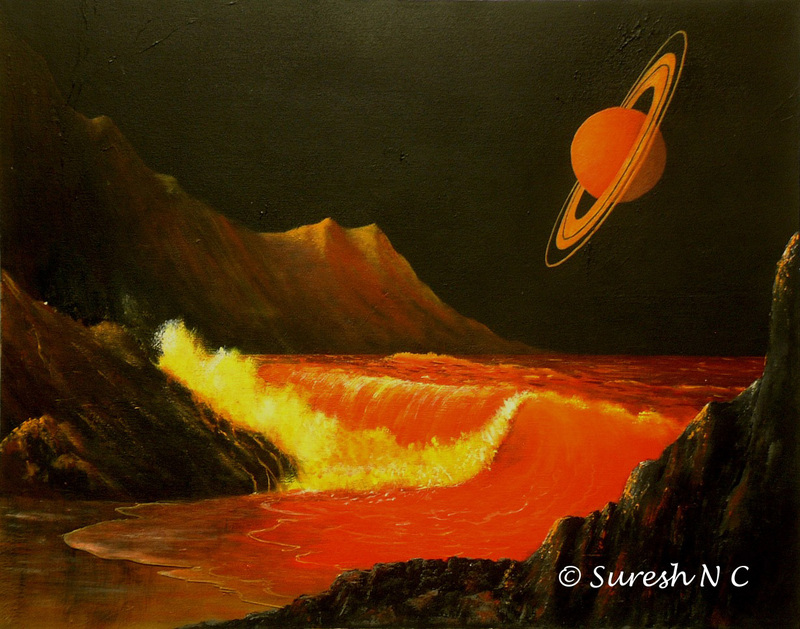 Soon she will assume full control of the planet and will have to deal with two troublesome political factions.